Hello. I'm here to share Creative Embellishments chipboard mini-album with you. 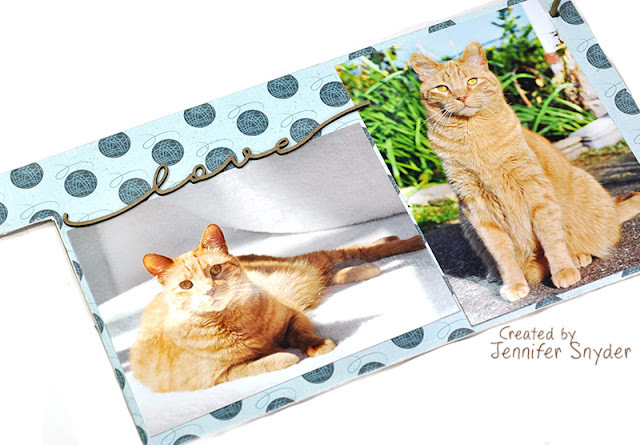 This is the purrrrrfect mini for clever, creative cat owners. And I know there are a bunch of you out there. Creative Embellishments is very pet friendly and has a large variety of chipboard embellishments from which to choose for scrapbook pages, albums, cards or mixed media projects. 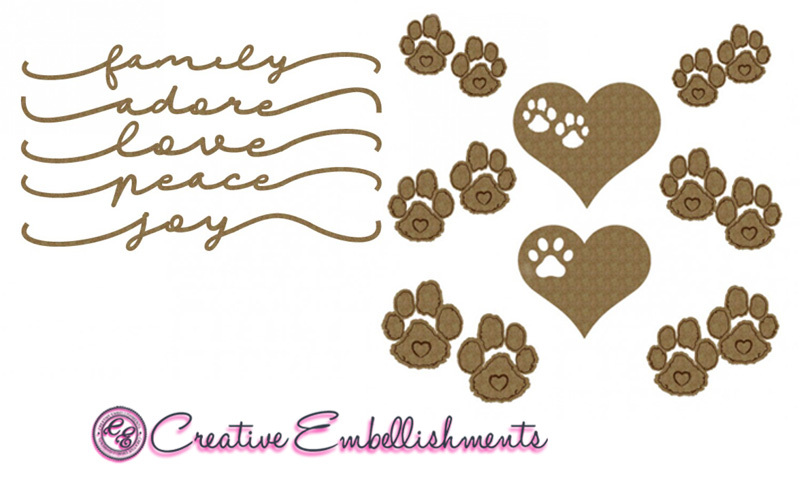 Note: Creative Embellishments sells a Dog mini-album as well which is totally adorable. 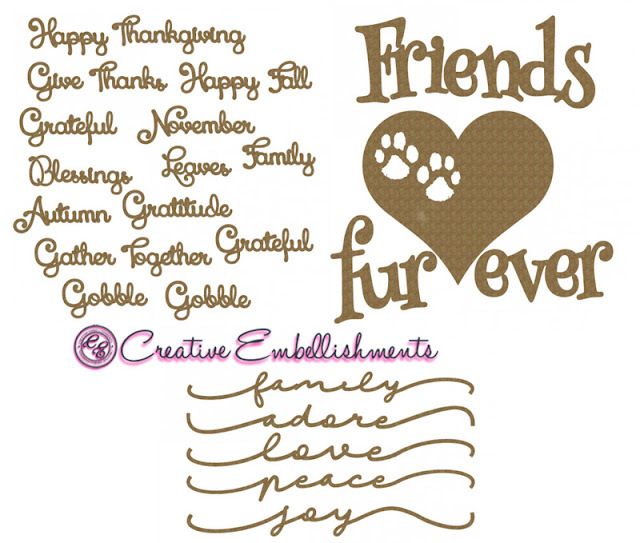 You can find the dog mini-album here. The papers used in this mini are from Photo Play Paper - Roxie and Friends 12x12 collection. Very sweet collection. 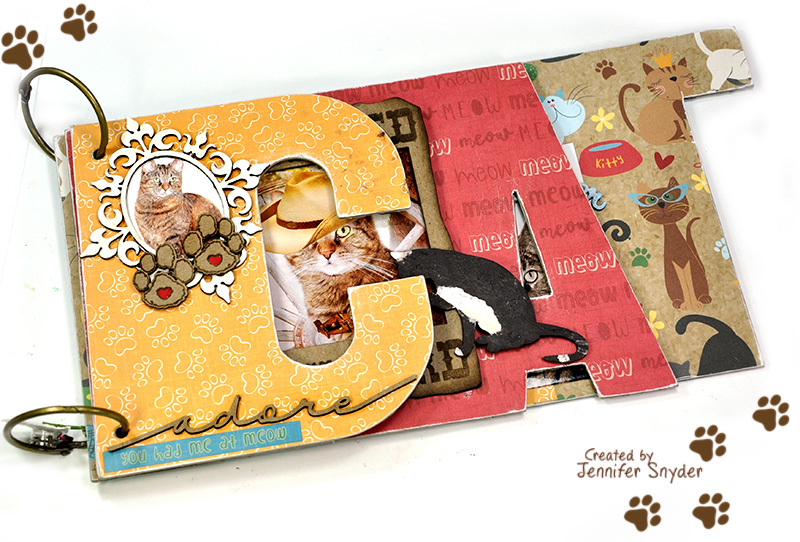 These are the chipboard pieces I used on the letter "C" of this sweet chipboard mini-album. 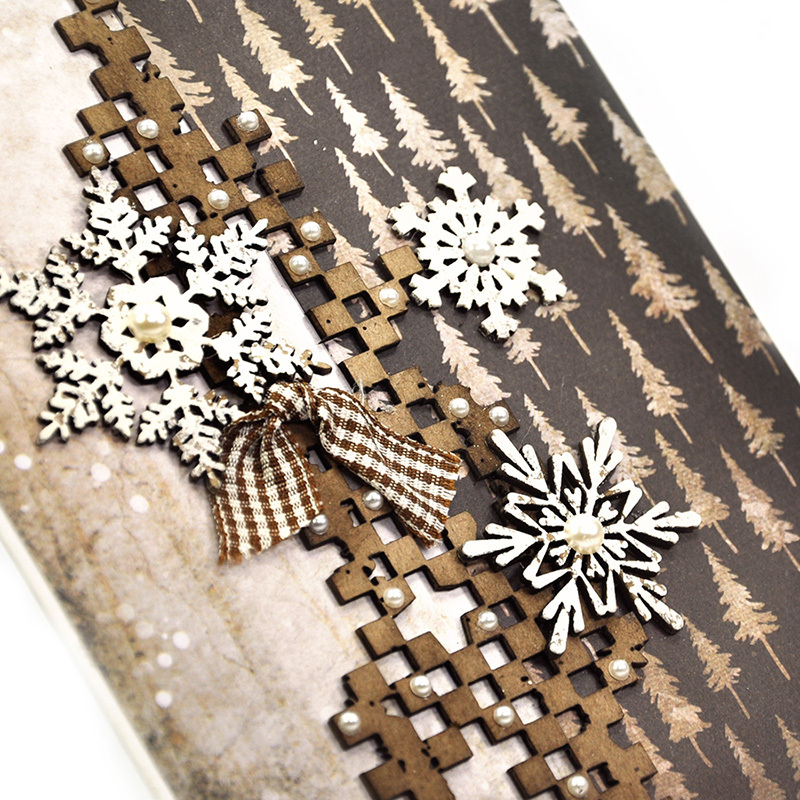 The chipboard pieces have either been left natural with no treatments or have been painted with acrylics. Truer words were never spoken..."Dogs have owners. Cats have Staff." 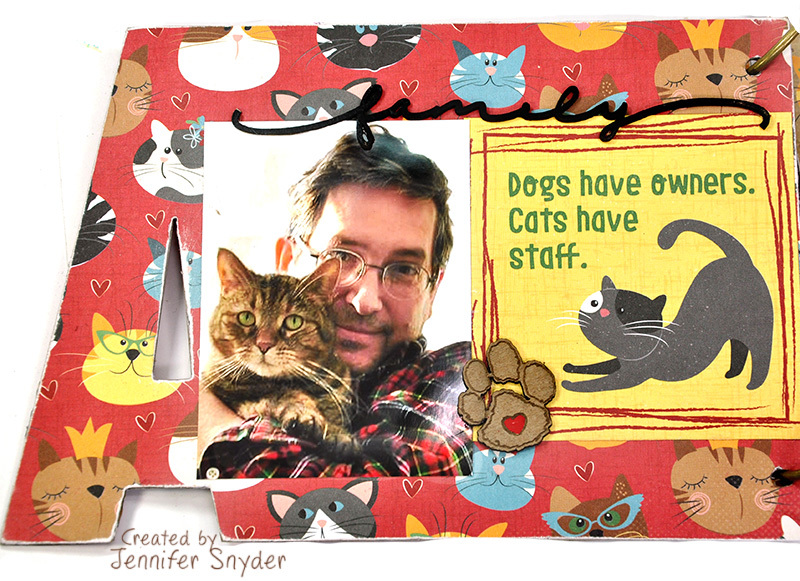 The staff shown in the photo is my husband hugging the queen ruler of the house - Escape Kitty. Thanks for stopping today. 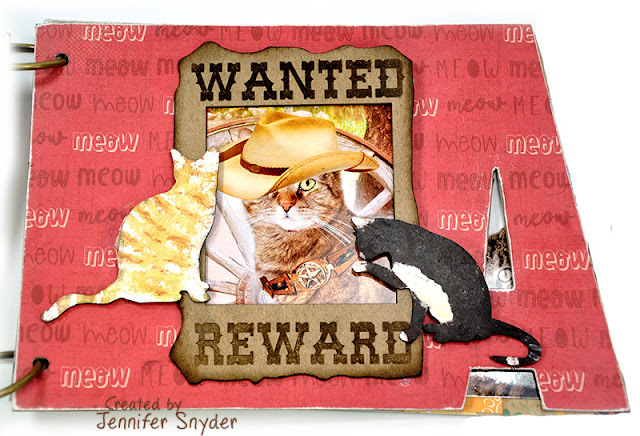 I hope your day is just purrrrrrrfect. 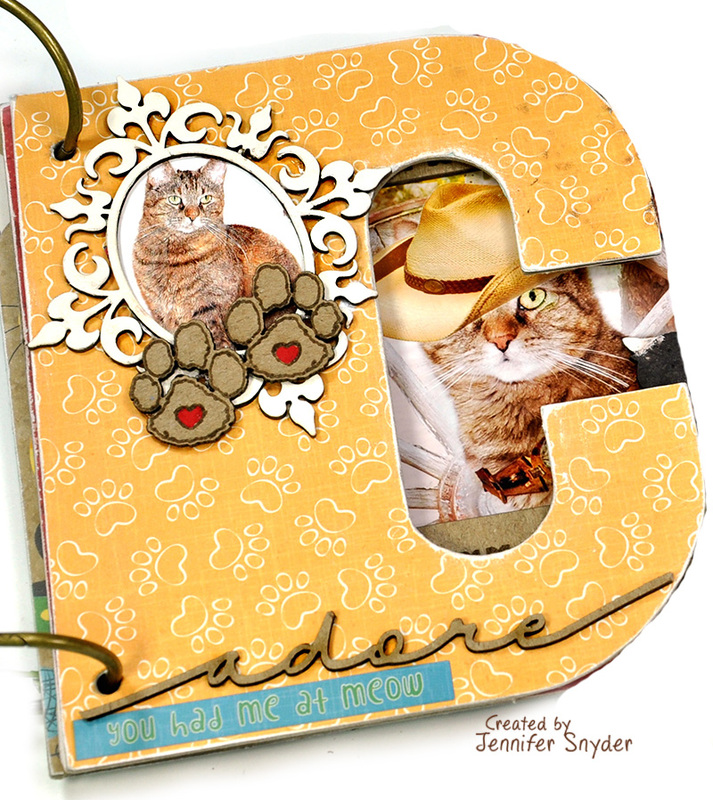 You can grab the paper used on this mini here, Photo Play Paper - Roxie and Friends. 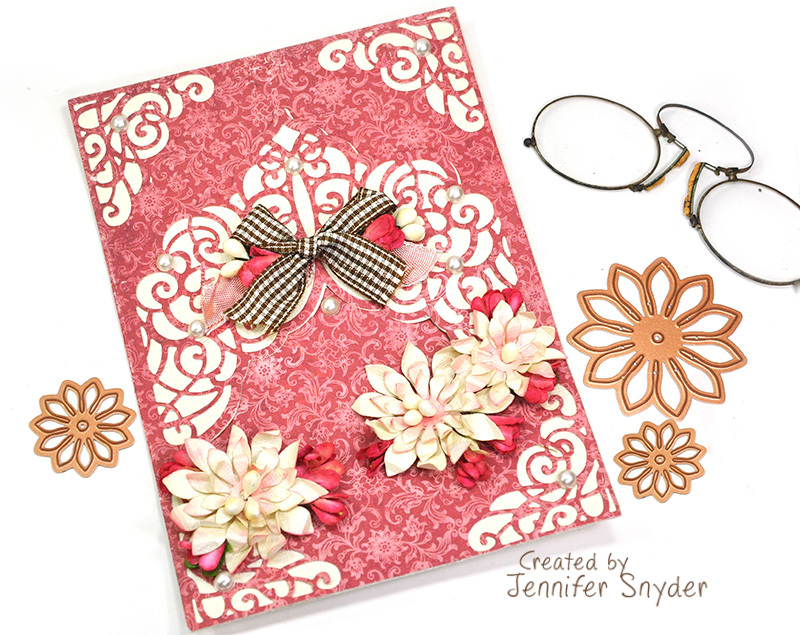 Spellbinders monthly clubs keep getting better. As a result of the overwhelming popularity of Becca Feeken's Amazing Paper Grace die designs, they have introduced the APG-Amazing Paper Grace Die of the Month. 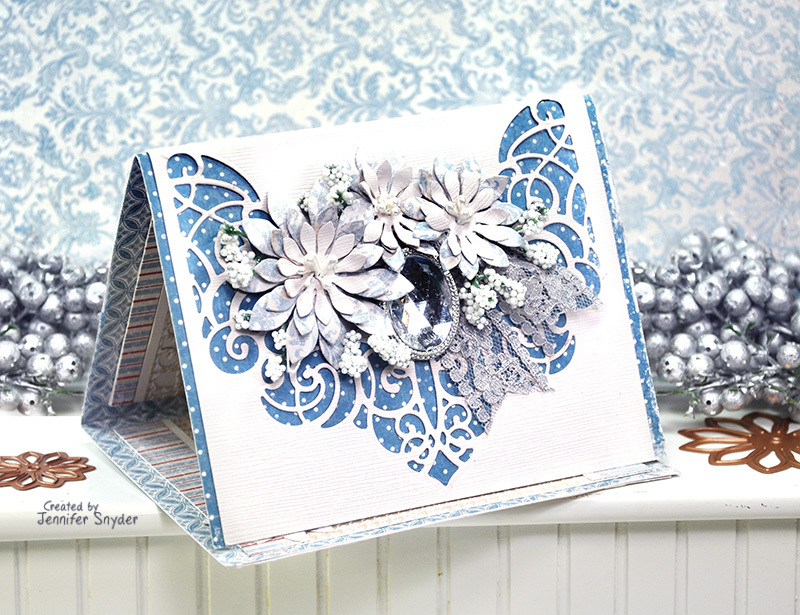 Thank you, Spellbinders, for being so responsive to our paper crafting obsessions. 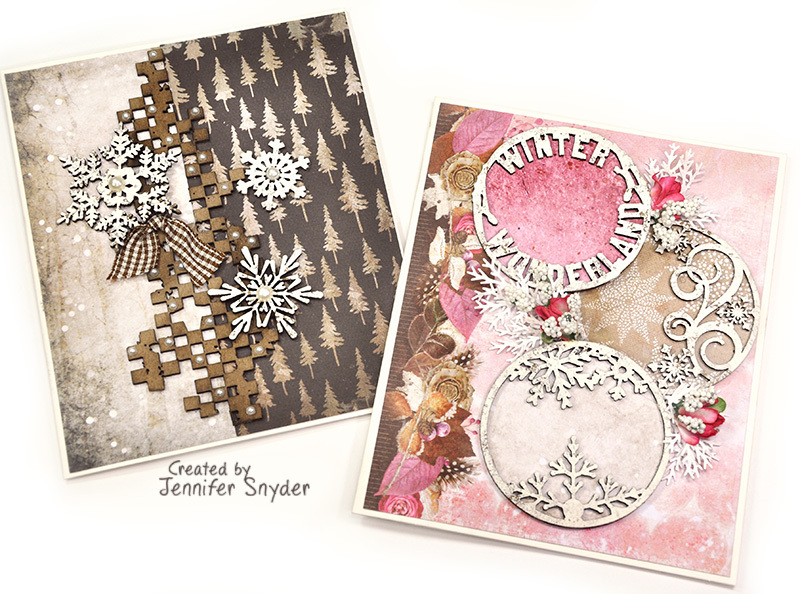 Today I am paring the delicate die design with Maja Design's Christmas Season collection. 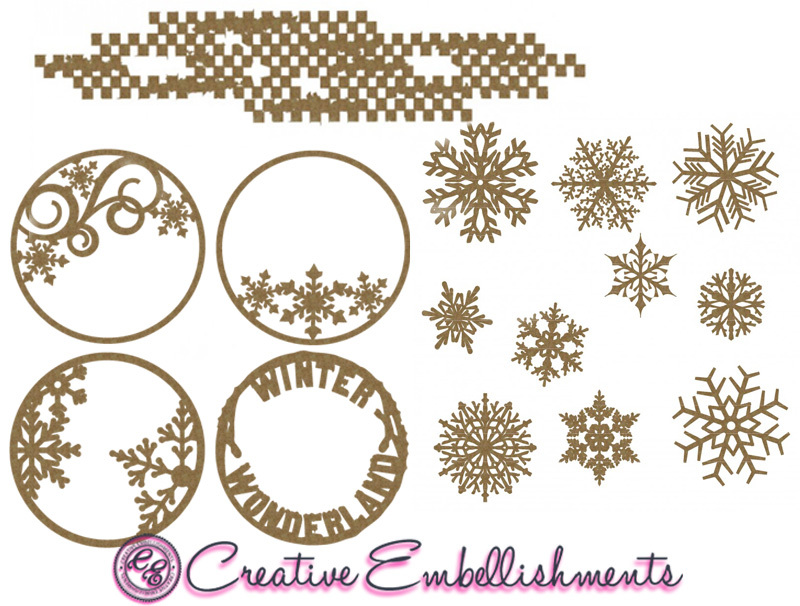 This collection can be used all year round. "Christmas Season" is only a name - don't let it confuse you. 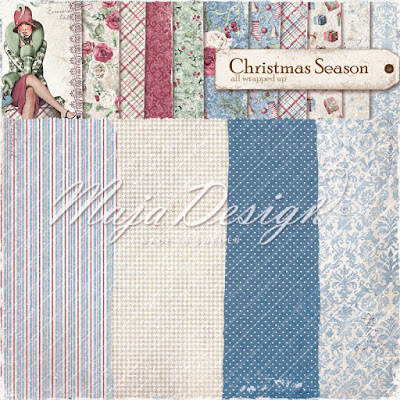 Maja Design has provided amazing timeless designs on the "B" sides of the paper so you can craft with the collection all year long - getting the most value for your money. 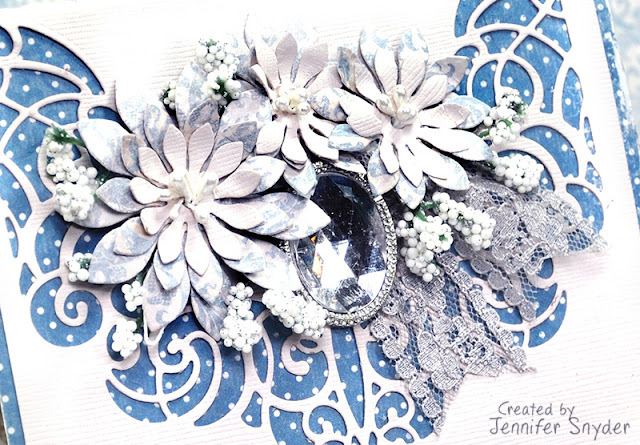 I created a tri-fold card using an assortment of papers from the collection along with this exclusive die from Spellbinders APG-Amazing Paper Grace Die of the Month created by Becca Feeken. Lovely die - lovely paper - they go together perfectly. Here is a quick video showing the tri-fold card. This is the inside of the tri-fold card. 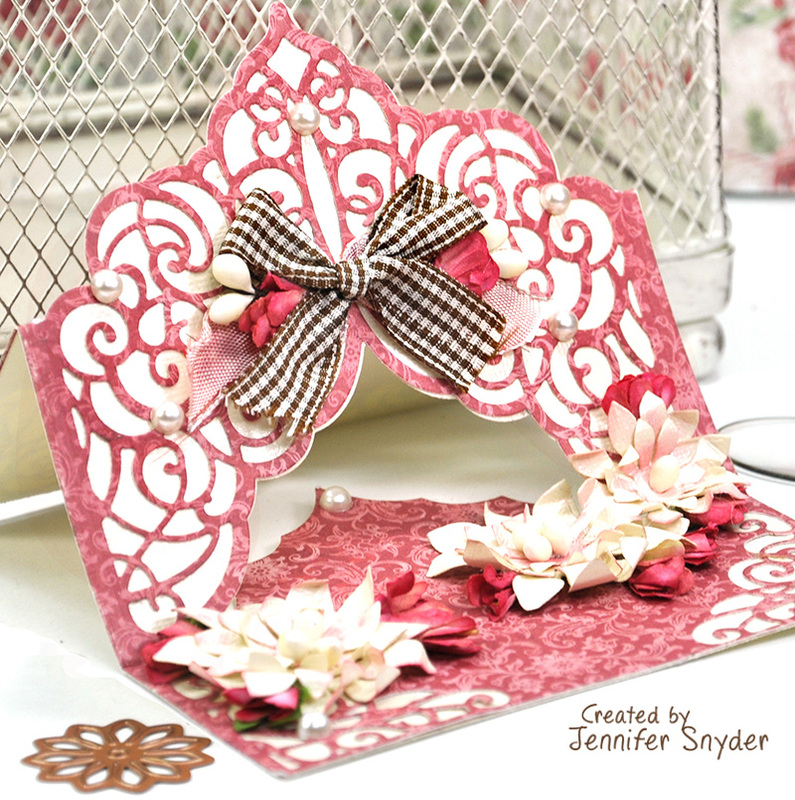 I have used the die set for surprising delicate details inside the card as well. 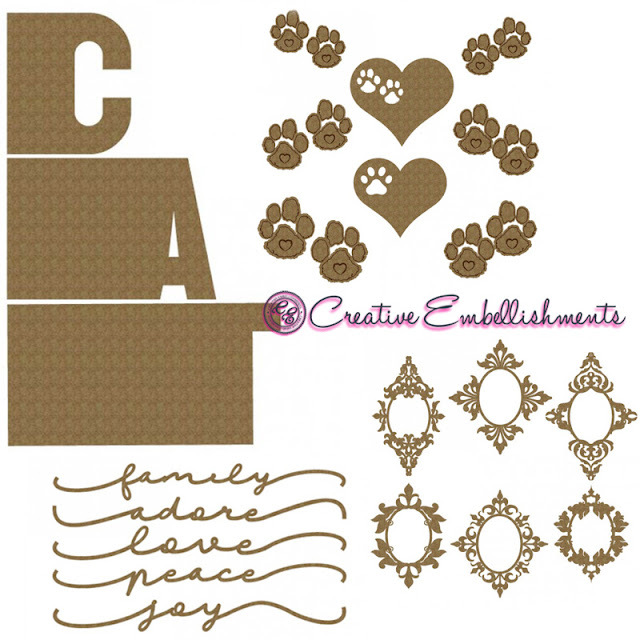 So many options for this set. Thanks for stopping here. Happy New year and happy crafting. Spellbinders has a unique selection of clubs and kits each month. you can check out the offers below. 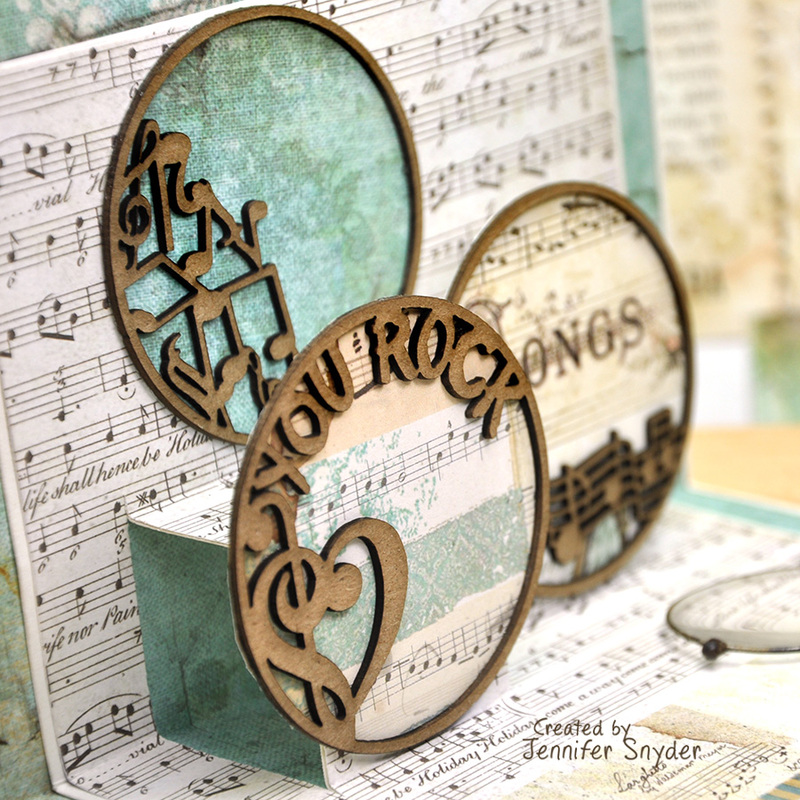 Here is a link to shop for Spellbinders dies from Becca Feeken's Amazing Paper Grace Collection. 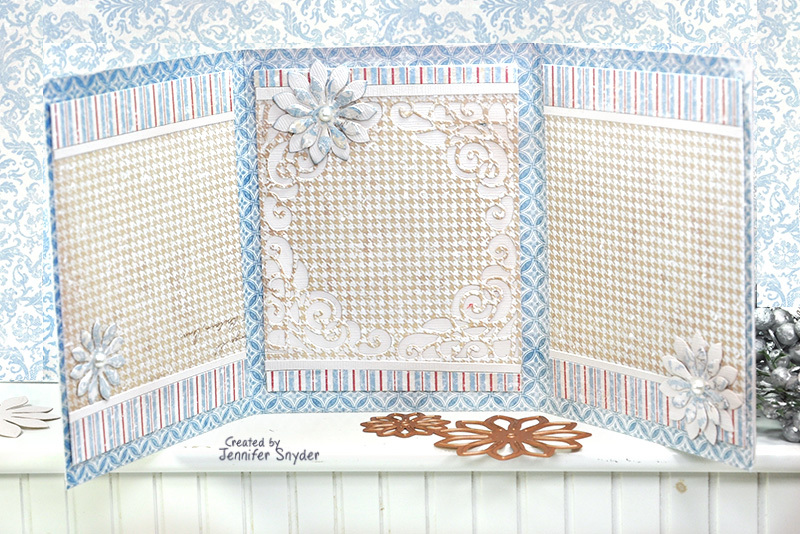 This exclusive die from Spellbinders APG-Amazing Paper Grace Die of the Month is created by Becca Feeken and is only available through the club. 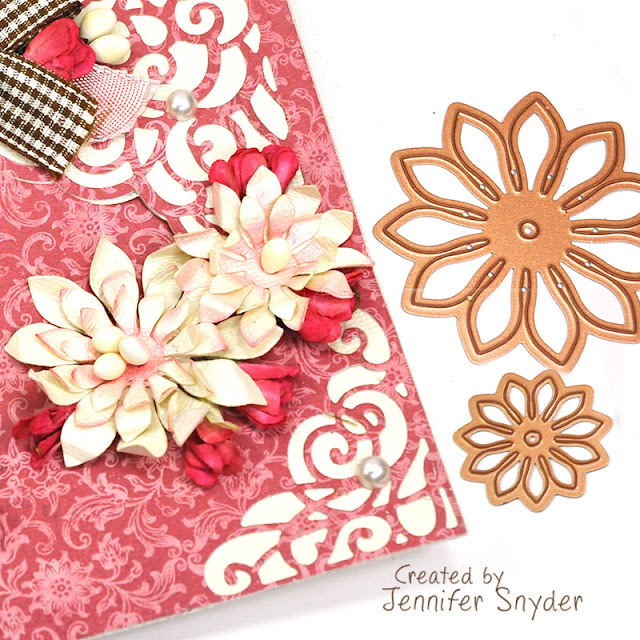 She has included some sweet flower dies to layer and accent projects. 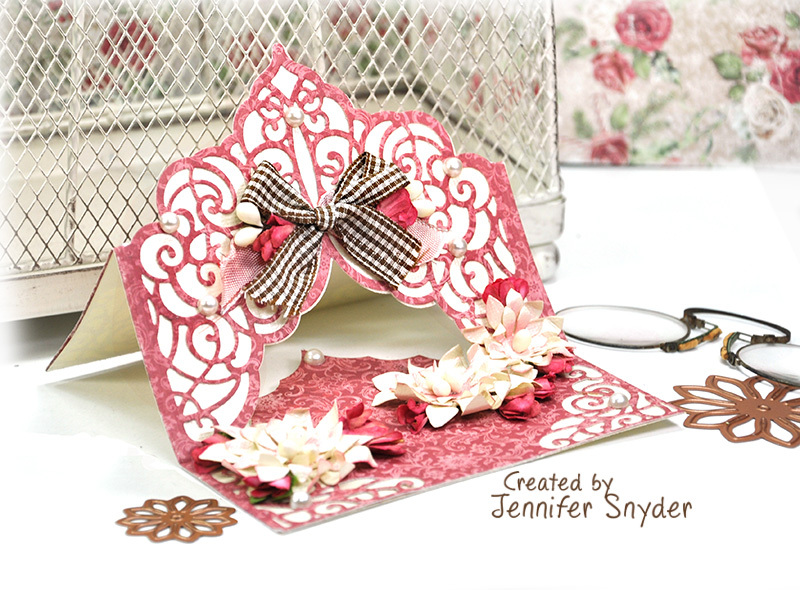 Leave the flowers flat or give them texture and dimension...the choice is yours. Today I am using a sheet of patterned paper from Maja Design's Christmas Season collection. This collection can be used all year round. "Christmas Season" is only a name - don't let it confuse you. Maja Design has provided amazing timeless designs on the "B" sides of the paper so you can craft with the collection all year long - getting the most value for your money. 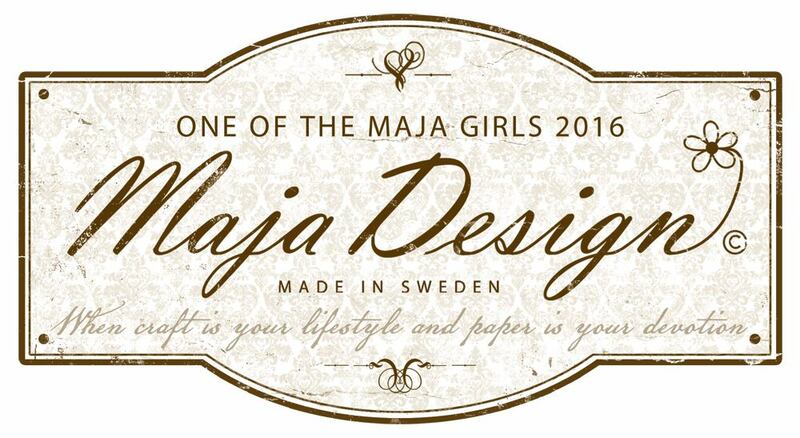 You can grab Maja Design's Christmas Season collection here. Happy 2019 - wishing you all the best in the brand new year. 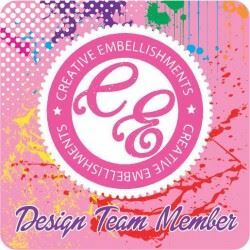 I'd like to thank Creative Embellishments for having confidence in my for yet another year of creative fun. 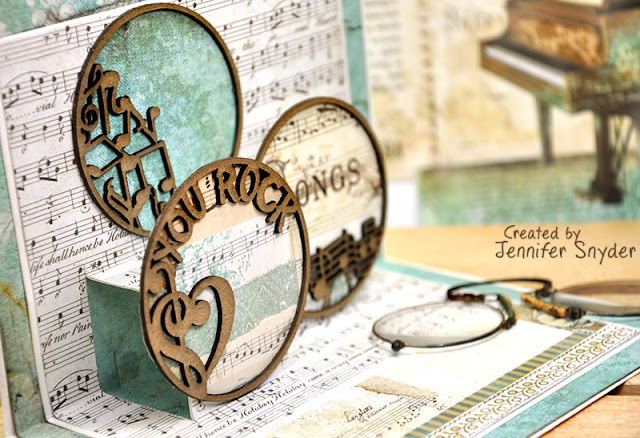 I have no crafty resolutions in 2019 - just to create what I love because it's a way to relax, calm my soul and fight off stress. 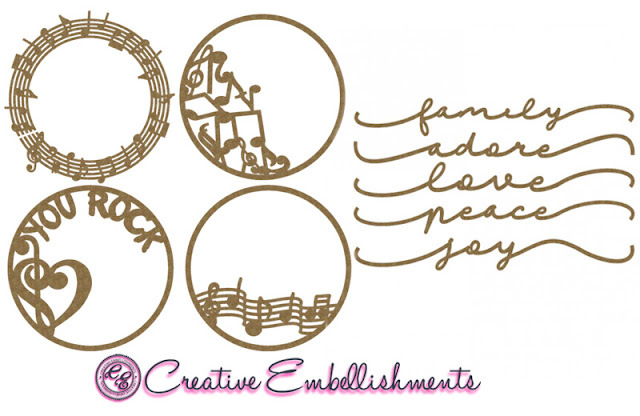 Affordable, quality products are essential in the quest for creative joy and peace. Am I right? That's why I celebrate Creative Embellishments. 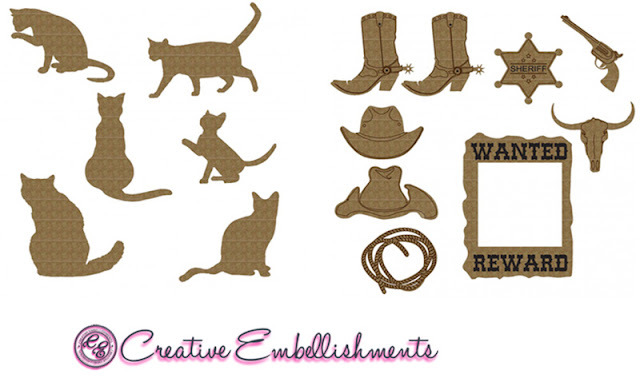 Affordable, American made, amazing quality, original designs, and frequent sales - make the product a super value. 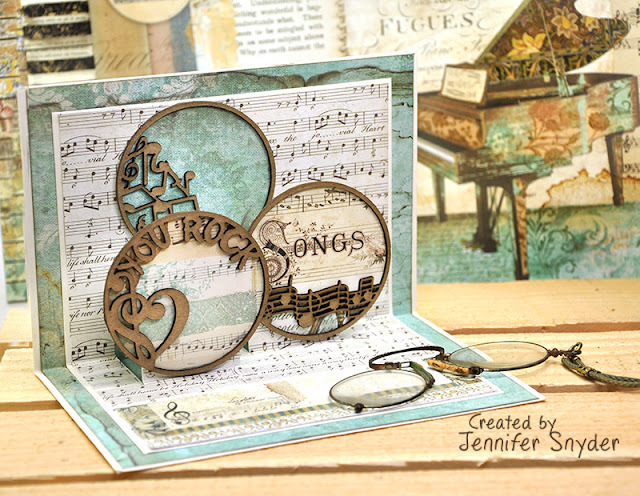 I'd like to present my new passion from Creative Embellishments - Artist Trading Coins (a cool new take on the Artist Trading Cards). They can be used for so many projects and in my opinion are not as limiting as the traditional ATC. 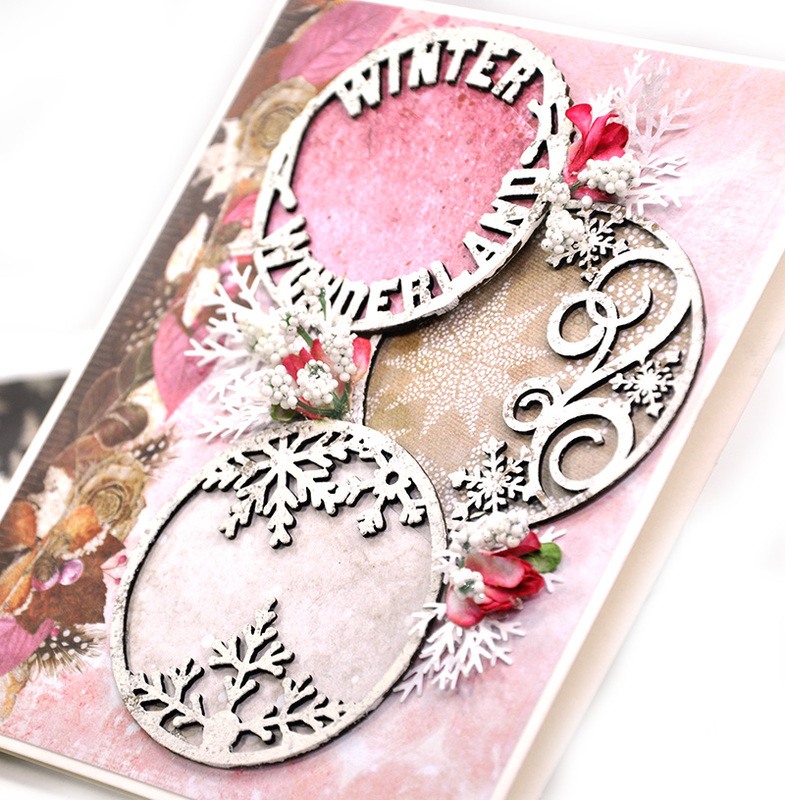 I've been using the trading coins as shaker cards, ornaments, card embellishments and now as a feature on a pop-up card. Here is a quick video showing the pop-up card in motion. Special thanks to my husband for the hand modeling. 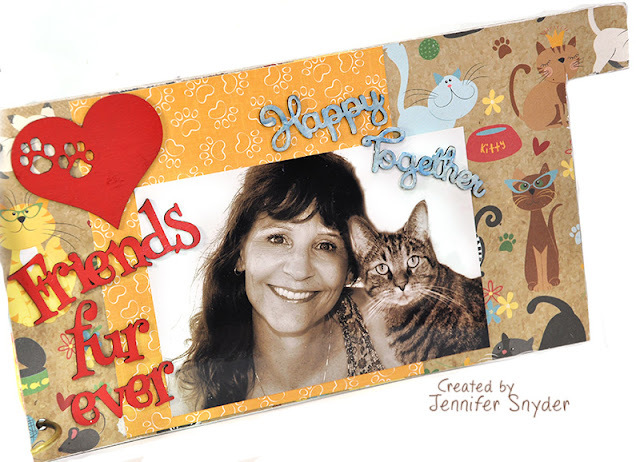 This is the cover of my card. 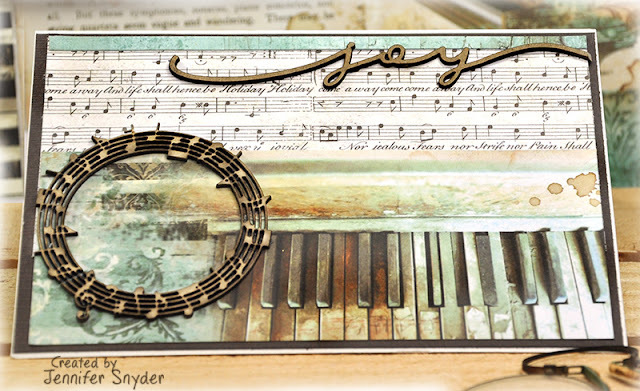 It's simple and neutral so I can use for the many music enthusiasts in my life. Note how fabulous chipboard looks without treatments. 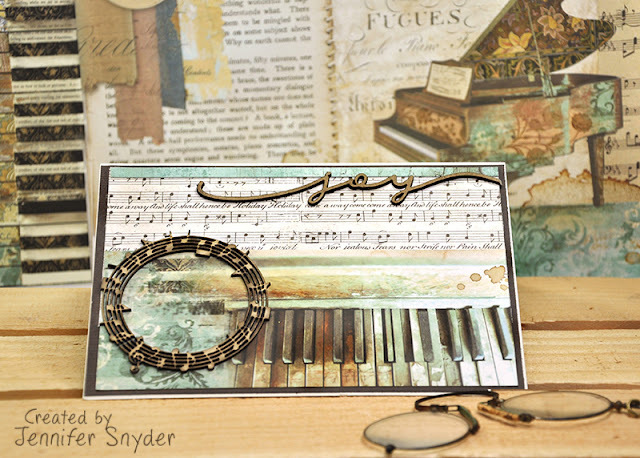 I used Stamperia's Music paper collection for this card. The inside pop-up feature was super easy to make by backing each Music Artist Trading Coin with different patterned paper for extra drama. 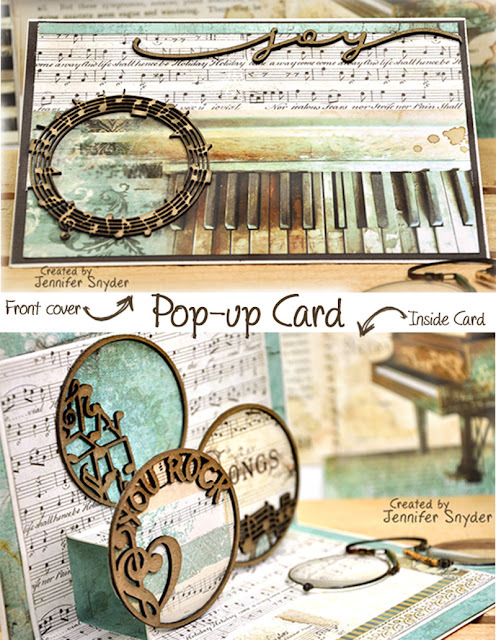 Stamperia - Music collection is found here.